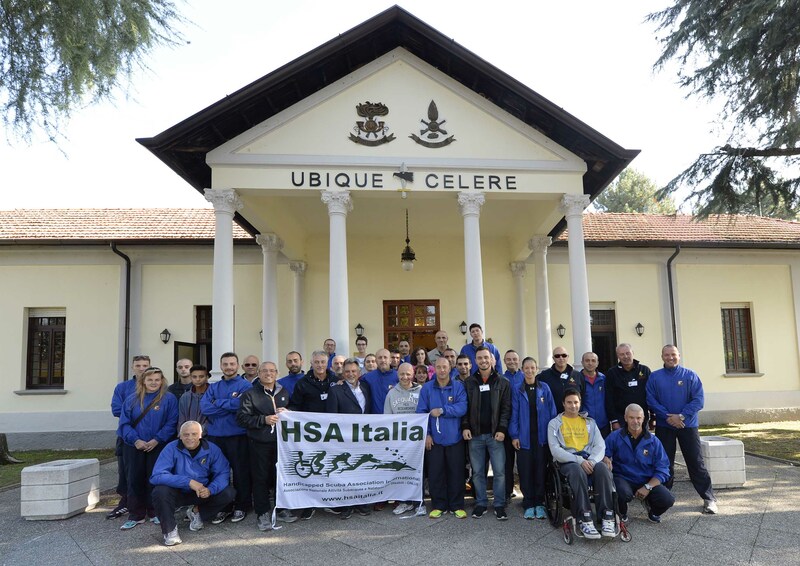 On Sunday 11 October 2015, the Handicapped Scuba Association (HSA) ”Experience Dive” course took place at the Ugo Mara barracks in Solbiate Olona (VA) and at the “Bustese Nuoto” swimming pool in Castellanza (VA). 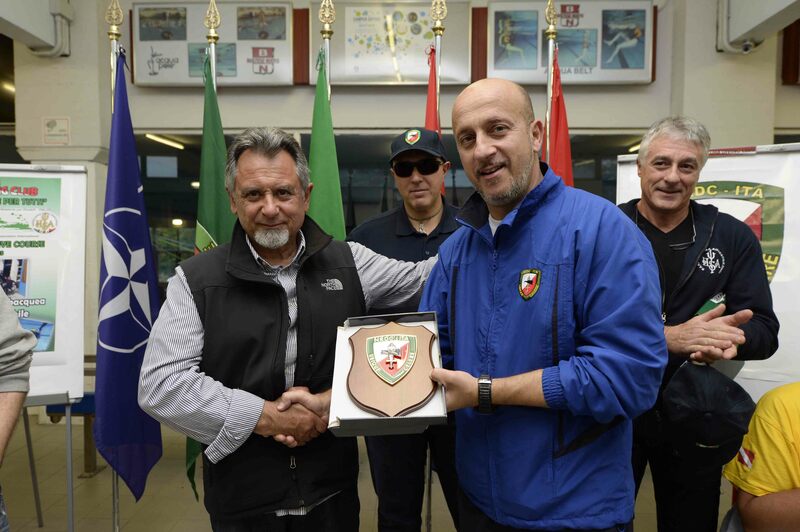 In close cooperation with the Italian HSA, the NATO Rapid Deployable Corps Italy (NRDC-ITA) Scuba Diving Club is this year pushing a project entitled: “A sea for everybody”. 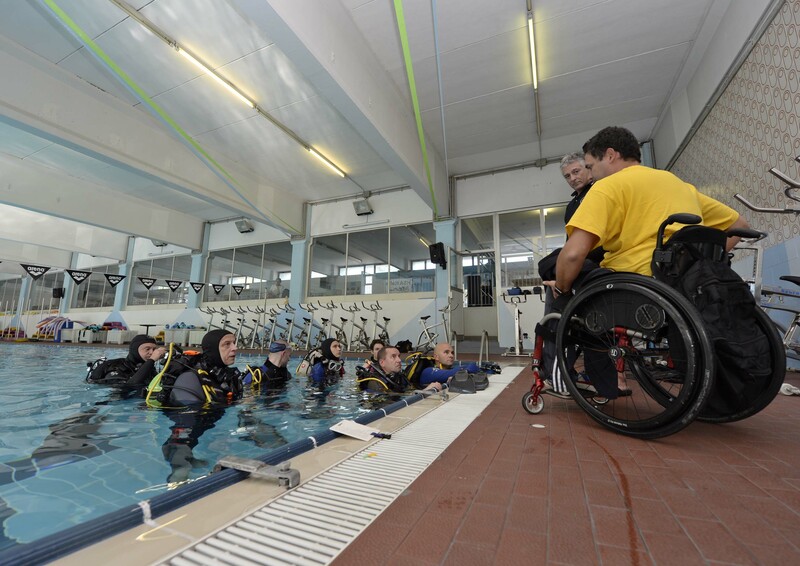 This project gives the opportunity to better understand the difficulties faced by people with physical disabilities and to form relationships whilst undertaking scuba activities. This course will allow all Club members of any scuba diving skill level the chance to learn theoretical and practical techniques that will enable them to ease physically challenged people underwater and share with them the joy and emotions of this fantastic sport in a safe and controlled environment. 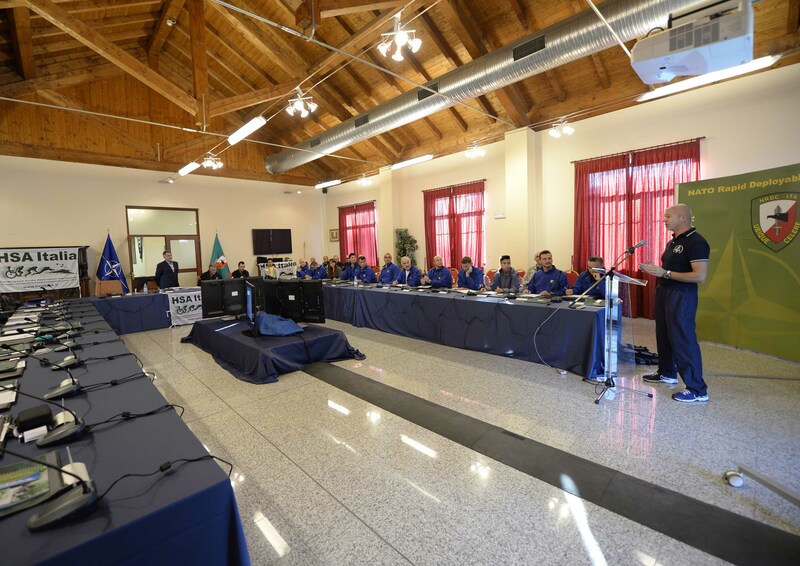 At the end of the course, the HSA “Experience Dive” certificate was issued to all participants.